This is an absolutely gorgeous pendant. 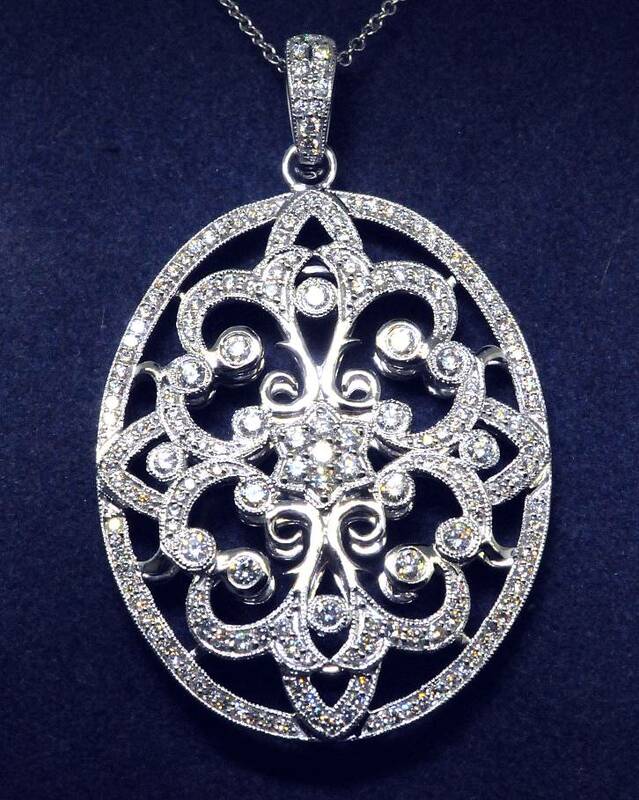 Antique oval pendant from Beny Sofer is made in 18k white gold with round diamonds weighing 1.66 total carat weight. Bail has diamonds set on the front and has a safety clasp on the back.